EAST TEXAS – If you’re a high school basketball fan, it truly is the most wonderful time of the year! The girls tipped off the 2016-2017 postseason earlier this week and on Monday, Feb. 20, the boys will take the court to see if they have what it takes to make the trip to San Antonio for a chance to raise the championship trophy. With one game remaining to play in the regular season, several teams have already punched their ticket to the playoffs. A few, however, are on the bubble as far as whether they will make it or what seeding they might receive. 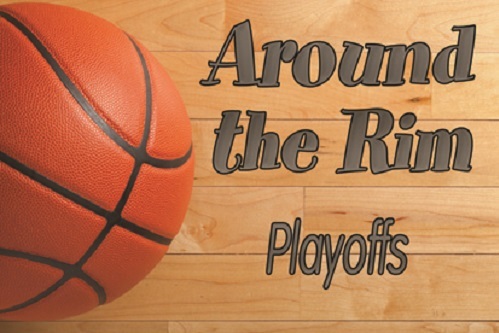 As of Monday, Feb. 13, the Kennard Tigers were still in the hunt for the playoffs. At the Class 1A level only the top three teams advance, while at the 2A and above levels, the top four teams from each district advance. Kennard is currently tied with the Chester Yellow Jackets for the third and final spot out of District 28-1A. They took on the district-leading Wells Pirates on Tuesday, Feb. 14 while the Yellow Jackets took on the Apple Springs Eagles. A win by Kennard and a loss by Chester, and the Tigers are in. If both teams win, there will more than likely be a one-game playoff to decide which teams gets the playoff berth. Staying at the Class 1A level, the Slocum Mustangs have already qualified for the postseason. The only question is where they will be seeded. Slocum is currently third in district, one game behind the Milford Bulldogs who they played on Feb. 14. A win by Slocum and they move into a tie with the Bulldogs for the second seed from District 27-1A and would force a one-game playoff. A loss by the Mustangs would keep Slocum in the third seed slot. Moving to the 2A level, the Grapeland Sandies captured their ninth consecutive district championship on Friday, Feb. regardless of the outcome of their final regular season game against the Groveton Indians. They will play the fourth place team from District 19-2A which will probably be the Cross Roads Bobcats on either Feb. 20 or Feb. 21. The Big Sandy Wildcats will finish second in District 20-2A and will take on the third place team from District 19-2A which will probably be the Kerens Bobcats on either Feb. 20 or Feb. 21. The Lovelady Lions will finish third in District 20-2A and will face either the Italy Gladiators or the La Poyner Flyers in the Bi-District round. In a game that would be better suited for the gridiron than the hardwood, expect The Centerville Tigers and Groveton Indians to slug it out in a one game playoff for fourth place with the winner taking on the District 19-2A champs. In District 21-2A, the Neches Tigers and Alto Yellow Jackets are tied atop the standings with both teams expected to win on Valentine’s Night. If that happens there will be a one game playoff between the two teams for the district title. At the 3A level, the Crockett Bulldogs have one game remaining with the Onalaska Wildcats but have already sewn up the second seed from District 21-3A. They will face the third place finisher from District 22-3A either Central, Central Heights or Newton. All three teams are tied at the top of the District 22-3A standings with 9-2 records. In District 18-3A, the Westwood Panthers have clinched the third seed, regardless of what happens on Tuesday. They will face the second place team from District 17-2A.